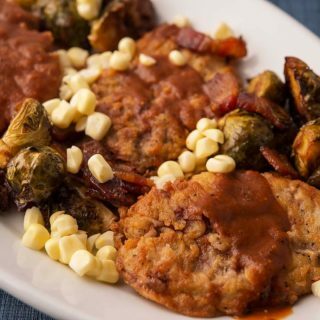 A Southern take on teal, with red-eye gravy, sour corn and Brussels sprouts. 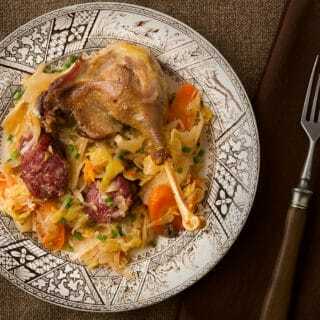 This dish is so simple, all the flavors come together beautifully. And if you’ve never made homemade spatzle, it’s easier than you think. 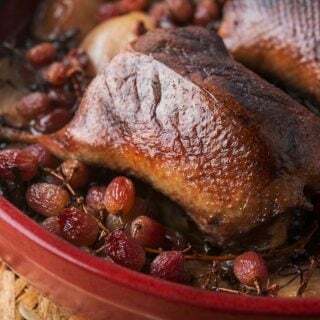 Winemaker’s duck with grapes is a French recipe for slow roasted duck with grapes, shallots and thyme. 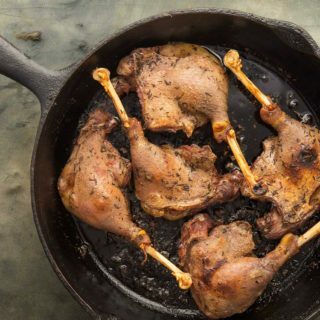 Yes, you can eat duck tongues. 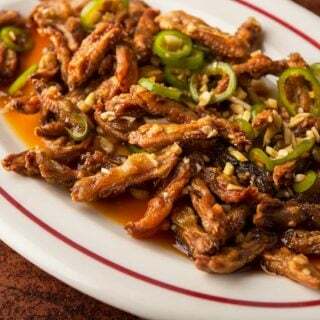 Crispy fried duck tongues are one of the best bar snacks ever! 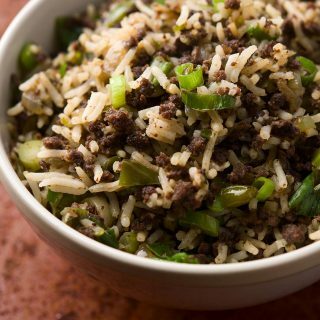 Dirty rice is basically Cajun fried rice, and is the easiest way to start eating the giblets of the birds you bring home. 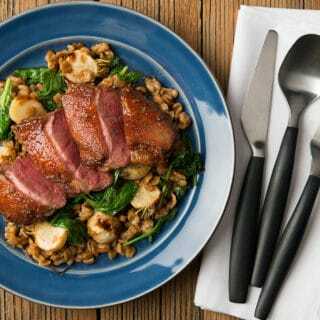 Try it and you’ll be hooked. 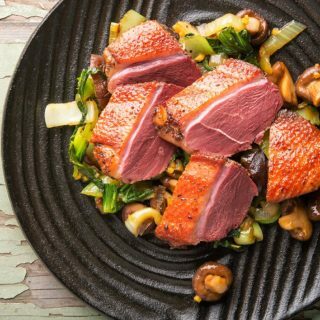 Chinese tea smoked duck is a fantastic way to eat fat duck breasts, and can be done on a stovetop. No smoker needed.